Earlier this year, Dell acquired Wyse, arguably the pioneer in thin-client computing. Together, Dell and Wyse have wasted little time in putting Wyse expertise to work to launch Dell Wyse Cloud Client Manager (CCM), which is designed to help companies address the increasingly vexing problem of managing mobile devices and applications. Manage thin client and mobile devices. Supported devices include Apple iOS, Android, and Dell Wyse thin clients, whether they’re using 3G, 4G or wi-fi networks. Provide users with secure remote access to content on servers, laptops and desktops. Using Wyse Pocket Cloud technology, mobile users to remotely and securely access and manage content stored on home or office computers. Set rules and policies to automate provisioning. CCM enables IT to create rules and permissions to streamline provisioning, and ensure that appropriate policies are applied to devices and users. Real-time monitoring, analytics and reporting. The solution provides real-time feedback on users’ mobile activities, and the ability to send alerts in case of user non-compliance. Since CCM is a cloud service, you don’t need to install any additional hardware or software, and can be up and running with CCM in less than an hour. As critical, CCM works regardless of your company’s mobile procurement and provisioning policy. Whether your business provides and manages all employee mobile devices, supports a BYOD program, has an employee self-service model, or some combination of these, CCM enables you to centrally manage how employees access corporate data and apps from their mobile devices, and create containers to separate corporate and personal apps. The price is right for cash-strapped SMBs: Dell offers a free Starter Tier for smaller companies, which has all CCM capabilities except for group-based management. The Pro Tier comes with granular group management capabilities, and pricing starts at $5.50 per month for one user and up to three devices. Unless you’ve been hiding under a rock, you know that the growth trajectory for mobile solutions is soaring. So it’s not surprising that SMBs are going mobile: SMB Group’s 2012 SMB Mobile Solution shows that 83% of small businesses (1-99 employees) and 76% of medium businesses (100-999 employees) already use mobile solutions in their businesses. Much of this growth has been driven by consumer demand for new and better devices and apps. As we use mobile more in our personal lives, our expectations for applying mobile solutions in our business lives also rises. But this rapid escalation of mobile use combined with a dizzying proliferation of devices and apps has led to a management dilemma. As they go mobile, SMBs are taking different approaches in terms of how they provide mobile devices to their employees (Figure 1). The velocity of mobile adoption and the convergence of mobile device use for personal and business needs has led to a rash of security and management issues for IT, who must manage a mushrooming and increasingly hybrid mobile environment which extends beyond devices to apps and services (Figure 2). 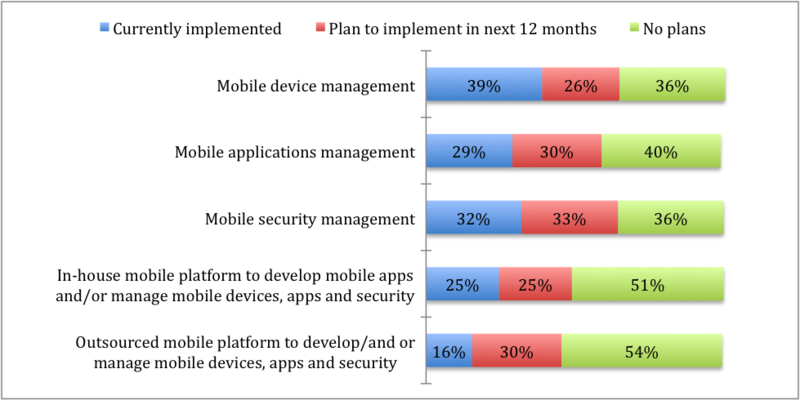 The result is that many SMBs have yet to address the mobile management challenge (Figure 3). The mobile management challenge will only intensify, especially given the industry’s proclivity to churn out bright and shiny new devices and apps–and users’ desire to get their hands on them. Dell CCM gives companies a secure, affordable and accessible way to manage through this inevitable churn, regardless of mobile policies, virtualization technologies or device choices. 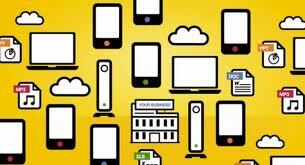 CCM offers both device and app management, and supports Citrix, Microsoft, VMware and other virtualization environments. CCM also offers management tools to automate and streamline management and offload routine chores. IT can create role-based rules and permissions for users or user groups, which allow or prohibit the use of specific apps. Once a user’s permissions are set up, the user can register devices on their won via the self-service portal. New devices automatically inherit the appropriate policies, configurations, and apps of the user. Employees also can use the portal to reset system passwords, and, if a device goes missing, lock or wipe corporate data. The platform delivers analytics and reporting, including audit trails to help IT monitor user compliance. CCM provides added through virtual desktop capabilities in Wyse PocketCloud Remote Desktop (a new web-based version is in beta now), which lets users securely access and manage content stored on home or office computers from their mobile devices. CCM doesn’t have everything in it yet, and it competes with many other MDM and mobile management platforms, including other DIY services and fully managed services. But Dell’s approach is solid, and it has removed pricing as a barrier to entry for budget-conscious SMBs with its free version. Over time, Dell intends to evolve CCM into a one-stop shop for device-agnostic, all-inclusive management of whatever combination of mobile and traditional devices companies choose to use. If it stays true to putting flexibility, ease of use and affordability at the top of the priority list, CCM will provide a very good answer for the mobile management challenges that SMBs face. Furthermore, CCM represents another step forward for Dell’s vision to transform from a product-centric to a solutions centric company. Although achieving the vision is still a work in progress, Dell’s Wsye acquisition (as with Boomi) demonstrates Dell’s ability to assemble the right building blocks and expand its footprint in cloud computing and remote services.